Artist Statement: " Christopher Saclolo is an interdisciplinary artist whose work explores the scholarship of Filipino American identity through intricate paintings and artist’s books as media with applications in cultural discourse. The work often addresses his own biography in relationship to his Filipino heritage and U.S. upbringing. Filipino/American diaspora, post-colonial Filipino American identity, and syncretic cultures are the conceptual narratives of his current visual explorations. His works are carefully crafted that playfully seek to parallel Filipino patterns to the multi-layered cultural identities of Filipino Americans." Chicago, Illinois: Christopher Saclolo, 2011. Edition of 5. 5.25 x 4.125"; 14 pages. Digitally printed on double sided matte paper. Pamphlet from altered paperback book and magazine clippings. Saddle stitched binding. 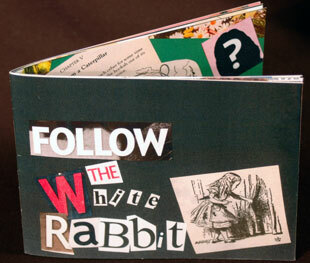 Christopher Saclolo: "This book is an altered book derived from the classic Alice's Adventures in Wonderland. It is both deconstruction of the physical book and the story itself. It is a journey of Alice in Wonderland and Alice in the role of the fallen Hollywood celebrity. The juxtaposition of what is found in tabloid magazines and Lewis Carroll's Alice's Adventures in Wonderland both echo similar worlds of Hollywood and Wonderland, a fantasy place that is not real." Chicago, Illinois: Christopher Saclolo, 2010. Edition of 3. 3.75 x 5.5"; 12 pages. Red transparency cover. Digitally printed on double sided matte paper. Handsewn pamphlet binding. Christopher Saclolo: "This book is from my childhood memory about eating dinner. When I was younger I had a reluctance of eating dinner at a certain time. To help stimulate my appetite my mother would turn on the television for me to watch The Muppet Show in order to keep me in one place. While eating, the theme song was this sort of stimulus in my mind to know that it was dinnertime. In my artist book, I incorporated the theme song lyrics on one side while on the other a kind of sequential routine I would go through while watching the show." 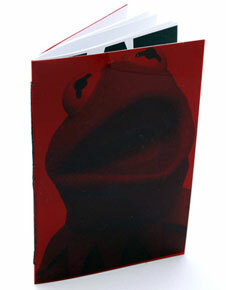 5.5 x 7"closed, opens to 34"; 12 pages. Handcut text. 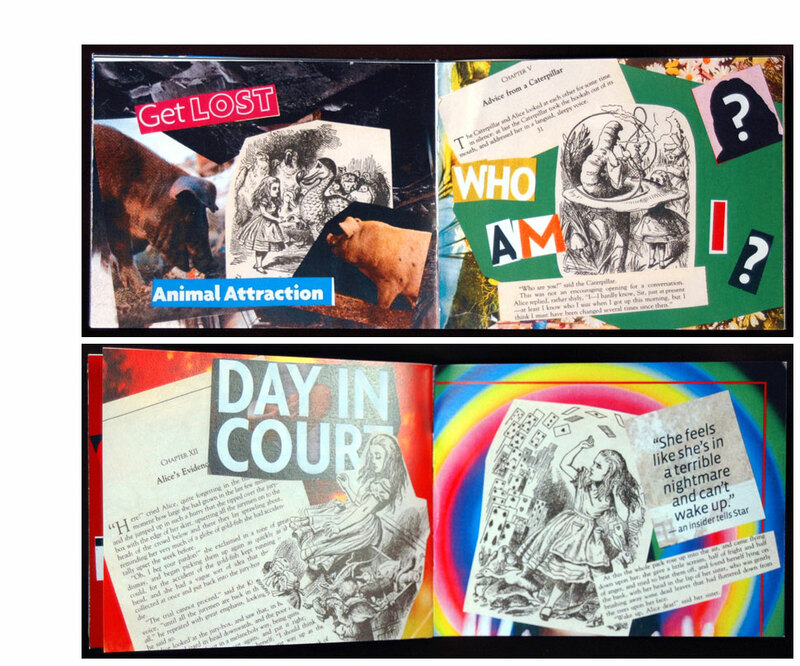 Three layer carousel book. Handsewn binding. Christopher Saclolo: "This book is a discovery of derogatory vocabulary in the Filipino language Tagalog and the American English language. Many times there is a curiosity of colloquial language, especially swear words. Whether you are an English speaker or Tagalog speaker or both, the meaning of curse words is clear. Each page contains a profane word or phrase with translations on opposite sides." 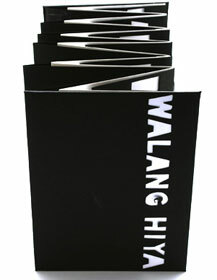 Tagalog is one major languages of the Philippines, and serves as a base for Filipino, one of two official languages of the Philippines (along with English).